Iceland Monitor is reporting that the first European gold plovers have arrived in Iceland – which according to tradition also means spring has arrived. According to an old Icelandic tradition, the arrival of first European golden plover is considered to mark the long awaited beginning of spring and when the first plover is spotted it is announced on every Icelandic news channel every year. The European golden plover is a much loved bird by Icelanders. Some fly in all the way from North-Africa to spend the spring and summer in Iceland. Approximately half of the golden plover European population breed is in Iceland, with around 500 to 700 thousand breeding pairs. During the winter the birds stay in the British Isles and along the coast in other countries in western Europe all the way to Gibraltar, and some go even as far as to North-Africa. 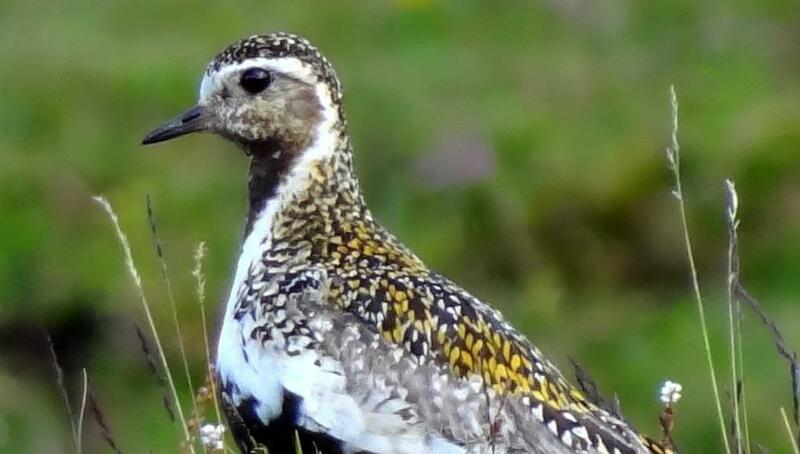 The golden plover is held in especially high regard in Iceland. It is a protected species and it is considered a sacrilege to kill the bird. The plover’s arrival this year appears to deliver on that promise; “farewell to the snow.”, the snow seems to be clearing up around most of the country. But as Icelanders well know, April can be volatile in terms of weather so we will have to wait and see. None the less, the day of the plover’s arrival is a mild one all over the coastline with half cloudy and clear skies and temperatures nodding around zero degrees. As reported by the Bird Watching Centre in the southeast of Iceland, four golden plovers were spotted in flight around Hofn, early this morning. Those are the first plovers spotted arriving this spring. The golden plover holds very specific place in the heart of Icelanders and she is muse to poets and artists. Icelandic schoolchildren welcome the bird with a song called “Lóan er komin”, including the line: “The plover is come to bid farewell to the snow”.